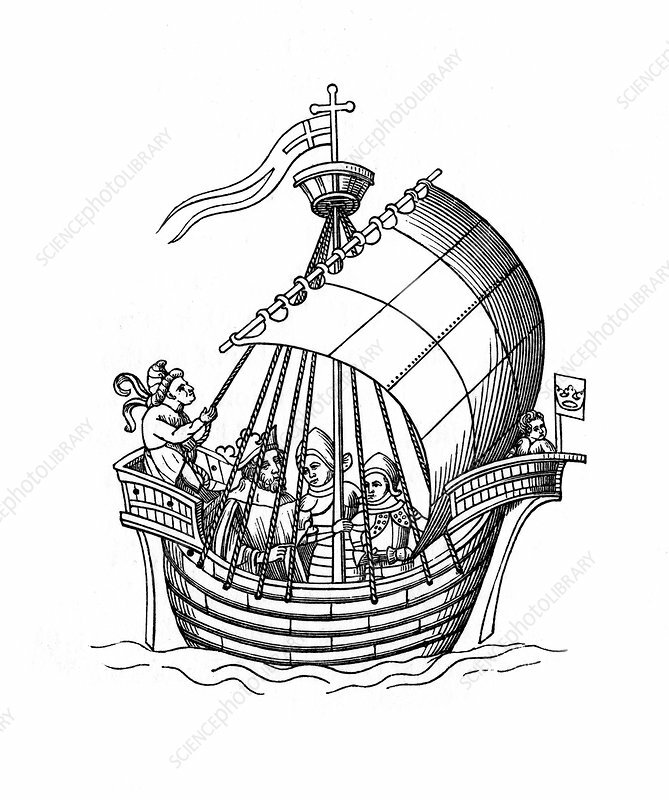 Sailing ship, 1445, (1843). Copy of one of the illuminations of the Shrewsbury Book, (1445). Illustration from Dresses and Decorations of the Middle Ages from the Seventh to the Seventeenth Centuries, by Henry Shaw, (London, 1843). Artist: Henry Shaw.